Welcome to our InterNations Official Event, the event in the community for everyone! 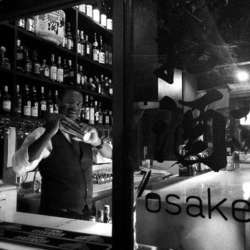 Osake Bar will host our next official event as an InterNations Private Party! Osake is quite a small bar that fits us perfectly! It is a great and unique opportunity to expand your network with other members and friends! This night our welcome drink will be a taste of the bestseller of the house (a delicious creation of gin, berries and mate). You'll be able to replace it with water or soda. Osake Bar has a fancy and warm atmosphere. Food menu is contemporary with Oriental fusion. The drink menu of the bar is really impressive - it is 3 pages long. Spread the news! Thank you so far for joining us and for supporting our events and thanks to Osake Bar for hosting us!